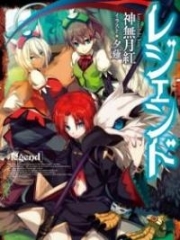 You’re reading novel The Demonic King Chases His Wife: The Rebellious Good-for-Nothing Miss Chapter 1022 online at LightNovelFree.com. Please use the follow button to get notification about the latest chapter next time when you visit LightNovelFree.com. Use F11 button to read novel in full-screen(PC only). Drop by anytime you want to read free – fast – latest novel. It’s great if you could leave a comment, share your opinion about the new chapters, new novel with others on the internet. We’ll do our best to bring you the finest, latest novel everyday. Enjoy! After taking care of Su Luo, Nangong Liuyun took a step forward. At this moment, Nangong Liuyun's tall figure stood loftily upright, his arrogant, pitch-black eyes flashed with a unique sharp edge that looked down disdainfully at the whole world. His outline was cold and resolute, the outline of his jaw defined arrogance and n.o.bility. He just stood like that, conceited and insufferably arrogant, as he cast sidelong glances at Situ Ming. His tone was indifferent and ice-cold: "Just now, what did you say?" Situ Ming's chest blocked up. What did he say? He merely asked Nangong not to wound Yaoyao for a random woman. Nangong Liuyun grabbed Situ Ming by the collar, lifting him up. His eyes narrowed dangerously and warned him while clearly enunciating each word: "Situ Ming, I respect you as my senior brother, so I'll forget about those words from just now. If there is a second time, don't blame me for becoming hostile!" Now, Nangong Liuyun's whole body emitted a furious aura, containing endless chilliness and harshness. Domineering and strong! Not tolerating another opinion! Insufferably arrogant! If it wasn't for the fact that the current atmosphere was unsuitable, Su Luo would have even wanted to whistle. Her Nangong really was simply too cool, even when he was emitting a furious aura, he was still so cool as to defy nature. Situ Ming was clearly scared stiff by Nangong Liuyun. The expression on his face was very complicated, there was wrath, there was helplessness, but mostly, it was disbelief. He completely didn't expect that Third Junior Brother could speak such heartless words. Nangong Liuyun's dark pupils were sharp as a hawk's, completely relentless. He threw aside Situ Ming, turned around to carry Su Luo and left with large strides. "Third Senior Brother, how could you treat Second Senior Brother like this? How could you treat us like this……" Li Yaoyao wept beautifully, looking as if she had been extremely wronged. She rushed up, wanting to pull at Nangong Liuyun, but was swept back by a wave of his hand. "Li Yaoyao." Nangong's whole body was covered in a layer of frost. His entire body was penetrated with chillness, he paused a bit and finally opened his mouth to say, "Don't think other people are all fools." Li Yaoyao momentarily stared blankly with a complexion that was pale as snow. Nangong Liuyun's starlike eyes were malicious as he indifferently gazed at Li Yaoyao: "Before, those things you did to Luo Luo, don't a.s.sume I don't know." Under his murderous gaze, Li Yaoyao subconsciously took a step back. Her heart panicked and turned into a mess, don't know what ought be done? She wanted to explain, yet with the words on the tip of her tongue, she discovered that she basically had no excuse. "If there is a next time, I'll kill you without discussion!" Nangong Liuyun, who had already entered the ranks of the exceptionally strong at twenty years old, absolutely had such confidence and aggressiveness. Li Yaoyao's entire person wasn't good. This was still the first time Third Senior Brother had so clearly and simply expressed his loathing. His gaze was so sharp and coldly detached, cruel and heartless, absolutely without a touch of feelings remaining. Not only did he plainly and openly refuse her, he also warned her that by continuing, she'd lose her life. Li Yaoyao simply didn't need to act, her tears immediately welled up like spring water, unable to be stopped. At this moment, she only felt cold water flow down from the top of her head, making her feel a cold that penetrated through to her heart and lungs. "If, I said if……" Li Yaoyao, choking with emotion, gazed at Nangong Liuyun with red-rimmed eyes: "If I was truly to move against Su Luo, would you really kill me?" Not only Li Yaoyao, but now, Situ Ming was also glaring at Nangong Liuyun with grief and indignation. Su Luo was also quietly gazing at Nangong Liuyun. From Su Luo's line of sight on the side, she could see Nangong Liuyun's handsome side profile. At this moment, the lines of his face were stretched taut, his face arrogant and ice-cold, with a solemn and very serious expression. Nangong Liuyun's answer……was firm, straightforward, resolute and showed no quarter. 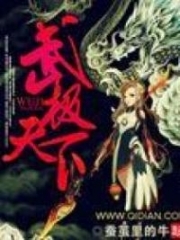 You're reading novel The Demonic King Chases His Wife: The Rebellious Good-for-Nothing Miss Chapter 1022 online at LightNovelFree.com. You can use the follow function to bookmark your favorite novel ( Only for registered users ). If you find any errors ( broken links, can't load photos, etc.. ), Please let us know so we can fix it as soon as possible. And when you start a conversation or debate about a certain topic with other people, please do not offend them just because you don't like their opinions. You're reading The Demonic King Chases His Wife: The Rebellious Good-for-Nothing Miss Chapter 1022. This novel has been translated by Updating. Author: Su Xiao Nuan,苏小暖 already has 14318 views. Current Time is Apr-21-2019 02:40:34 AM.